Alvin Katz, CPA and Co-Founder, Director of KatzAbosch, and Chad Seifert, CPA, CGMA, Principal at KatzAbosch were recently honored at SmartCEO’s Centers of Influence Awards, which took place on October 25th at the Grand. The Centers of Influence Awards program honors the leadership and success of the Baltimore region’s most enterprising accountants, attorneys and bankers. More than 200 business leaders join SmartCEO to celebrate this year’s honorees. Out of the 14 distinguished honorees profiled for the Accountant Category, Alvin was announced as one of the overall winners that night. He is truly humbled and gives great thanks to his client, Elizabeth Rendon-Sherman, CEO and CFO of LG-TEK for nominating him. 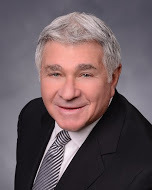 Alvin is a Co-Founder of KatzAbosch and has been with the Firm since its inception 47 years ago. From 1989 through 2009, Alvin Katz served as President and CEO of KatzAbosch. Since co-founding the firm in 1969 with John Abosch, he has been instrumental in the firm’s success and growth to become one of the top 200 accounting firms in the United States. He is now a Director in the firm. Alvin provides a full range of services for clients, including management advisory services, tax planning, general business advice and consulting, and mergers & acquisitions consulting. Alvin has received many awards including: Hometown Hero, American Red Cross of Central Maryland, 2010; 2004 Innovator of the Year, The Daily Record; Maryland’s Top 50 CPAs, Baltimore SmartCEO Magazine 2004; and Beth Israel Congregation’s “Man of the Year” 1985. 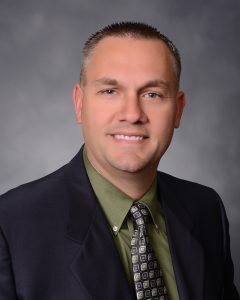 Chad Seifert, a Principal with KatzAbosch, joined the firm in 2006. He is Chairperson of the firm’s Emerging Business and Outsourcing Department and is a member of the Medical Practice Services Group. Chad provides a full range of accounting, tax, and consulting services for clients. For over, 15 years he has been providing exceptional client service and expertise to clients in various industries. Leslie Albrecht, Vice President of Operations at Social Driver nominated Chad for this top honor. He too is greatly appreciative and grateful to have such a dynamic client nominate him for this awards program. “This honor supports my mission to my clients,” says Seifert. “My clients trust that I not only understand their businesses, but how their business decisions impact their families,” continues Seifert. “Outcomes are based on knowing the full picture and scope of impact. I make it my job to understand my clients holistically, to provide the best tax and accounting advice for the greatest operational efficiencies and tax savings.” Seifert also volunteers his time coaching local youth football. Founded in 1969, KatzAbosch is one of the largest CPA and business consulting services in the Mid-Atlantic region. As a Maryland accounting firm, our mission is to provide the highest quality accounting, tax, financial and management consulting services to our regional clients. We understand the needs and challenges of our clients and we have made it our obligation to create, grow and protect asset value. KatzAbosch is consistently named a Best Accounting Firm to Work For in Accounting Today and as one of the Top Workplaces in The Baltimore Sun 5 years in a row. Our firm is also ranked among the Top 15 Largest Accounting Firms in the Baltimore Area by the Baltimore Business Journal.